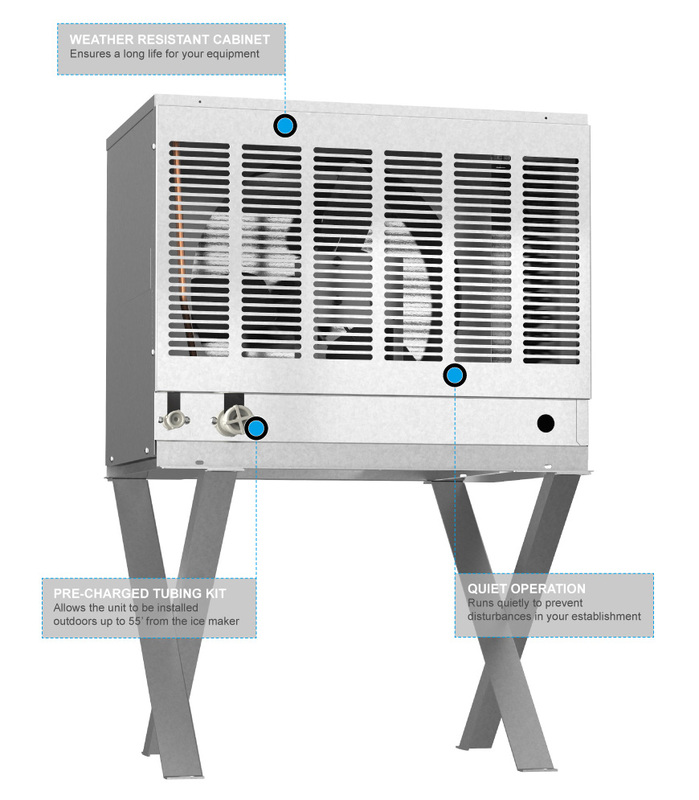 The Hoshizaki URC-5F air-cooled remote ice machine compressor is made to be installed away from customer areas to relocate heat and noise. 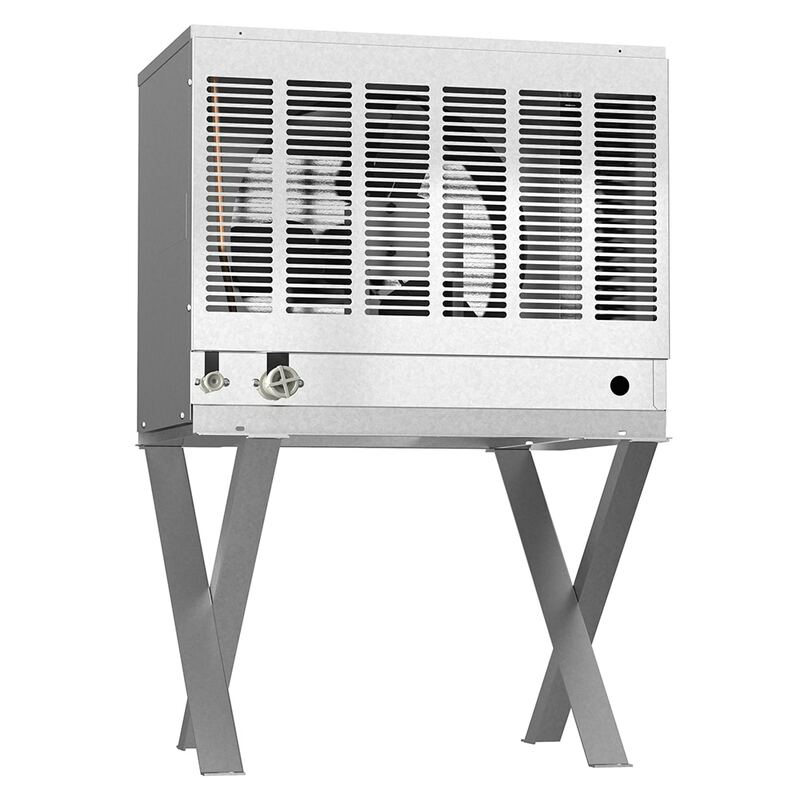 The cabinet of this unit is weather resistant for increased life, and it can be installed up to 55 feet from the ice maker using a pre-charged tubing kit, which is sold separately. Crossing legs keep the compressor stable on different surfaces. 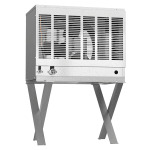 This Hoshizaki URC-5F remote condenser can be used with a variety of ice makers, which are sold separately along with storage bins.